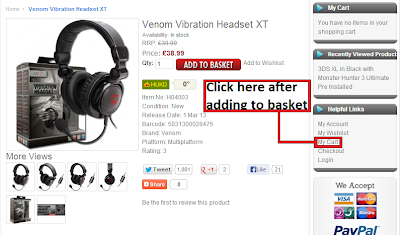 Get £15 off a Venom Vibration Headset XT by entering "VIBRATIONHEADSET15" to the MY CART option after your order. 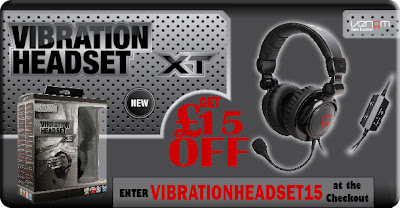 The offer is only valid until the 31st of May 2013 and for one HEADSET per customer. The mycart does not have a voucher code option. I've looked everywhere and I couldn't find the page which is on this screen shot. 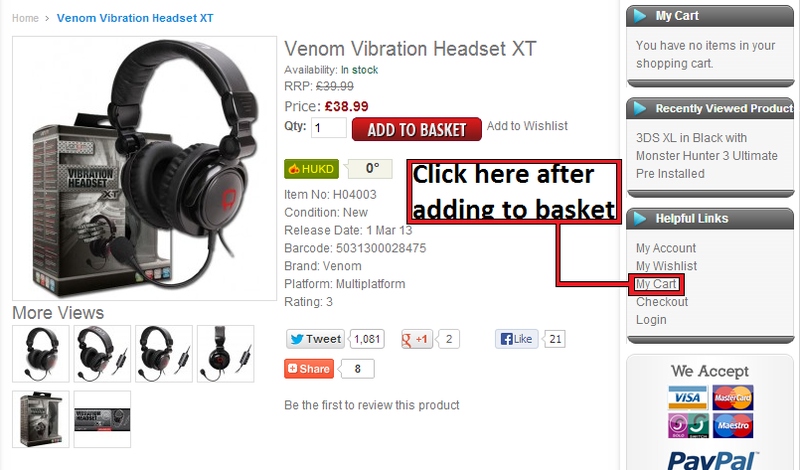 Surely the coupon code option should be shown straight after you put the headset in your cart?